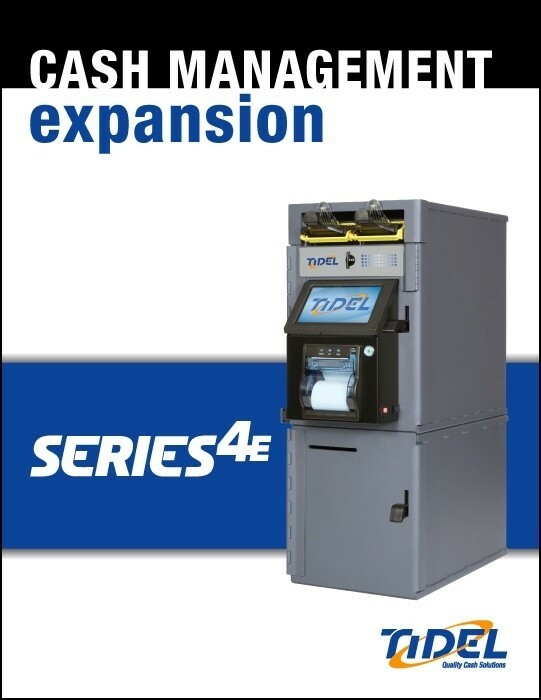 Tidel Series 4e Cash Management System | Scale and expand. The Tidel Series 4e offers industry-leading expansion capabilities that retail organizations require to manage their day-to-day cash management business. 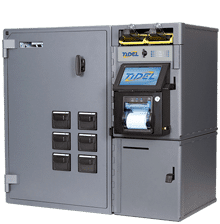 The Tidel Series 4e and supported peripherals enable retail organizations to recycle coins, dispense coins and notes, and scale their note deposit and validation capabilities. By supporting these peripherals, the Tidel Series 4e is the only choice for retail organizations that require end-to-end cash management solutions that address a diverse set of needs. Refer to the peripheral options below to find the solutions that work best for your business. Then use our Series 4e Configuration Tool to configure a system that best meets your needs. 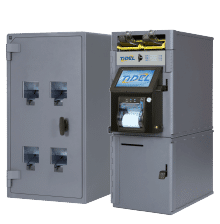 The Series 4e connects to a wide range of Tidel expansion peripherals, including systems that recycle coin, dispense bulk notes and coin, dispense rolled coin, as well as systems that offer additional storage and note deposit scalability. The Series 4e and its expansion peripherals support the broadest range of cash management requirements and use cases. Interested in the Series 4e?